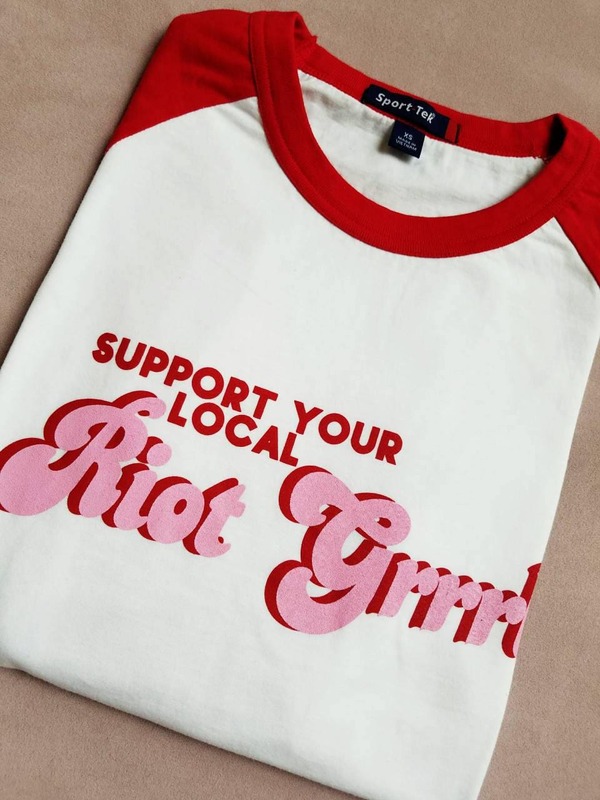 Feminist Support Your Local Riot Grrrl red and white raglan baseball tee. Retro 70's logo style. 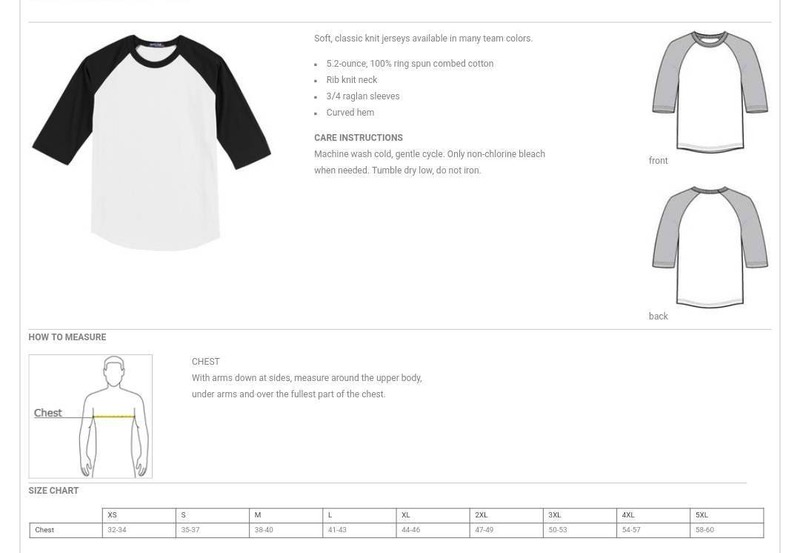 Please measure for exact sizing. 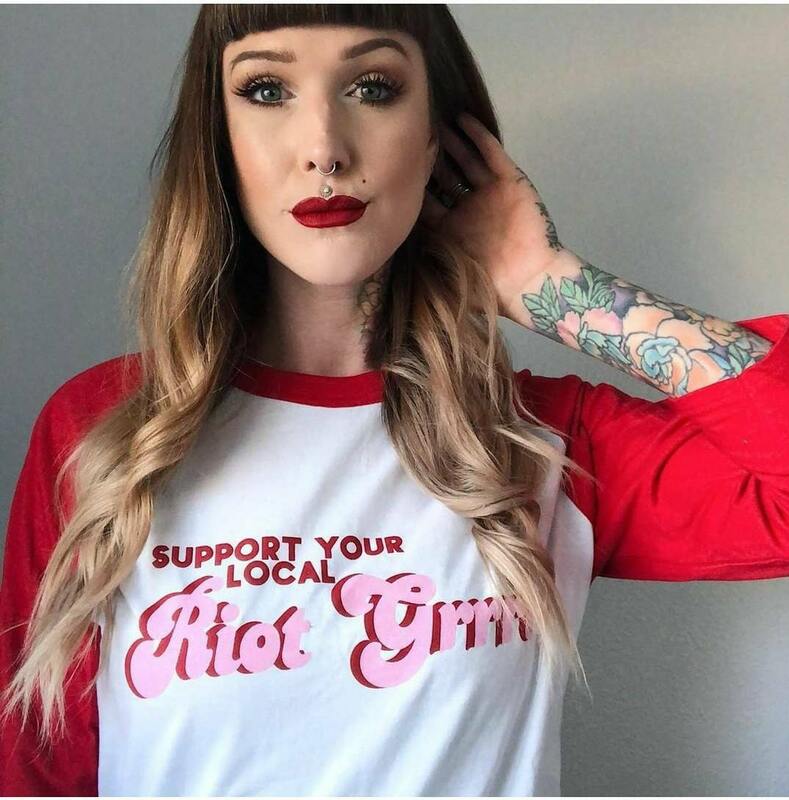 Quality 100% Ringspun Cotton tee for a softer feel.